This is funny-sad. I actually enjoy some of these pre-iPad Windows tablets that look like Obama might be able to enter some codes to start World War 54 or whatever we are on now. It’s sad that there is not more innovation in the offing. 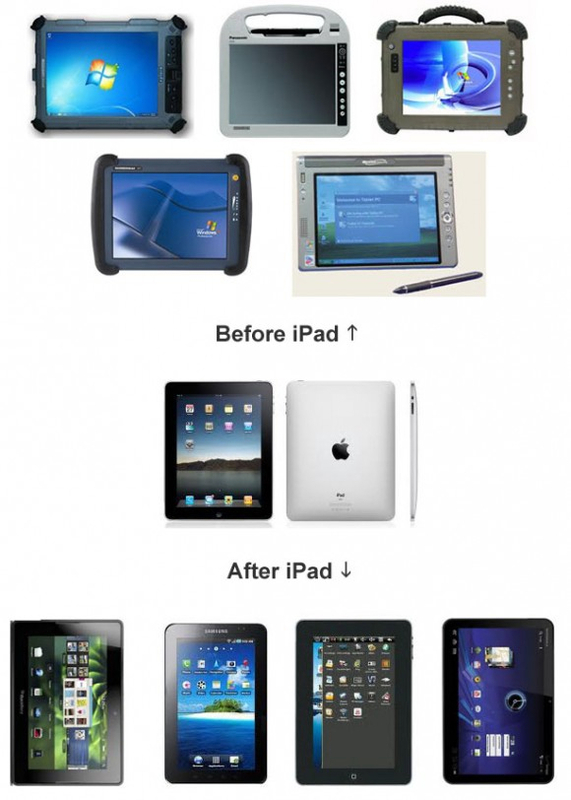 Theft is not innovation, unfortunately. Otherwise, we would be living in a highly innovative world. Question: What do you hope to see when you look through the windows? Blue sky and big puffy white clouds, you say? Robert X. Cringely agrees. 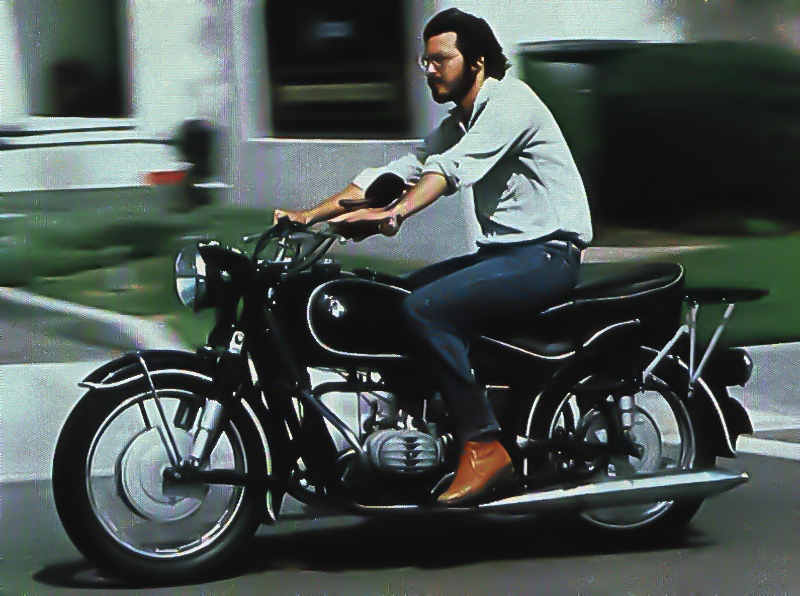 Here’s his look at the Apple iCloud announcement. Basically, our data is the platform. Not the thing sitting on your desk, or increasingly, in your briefcase, pocket and who knows where else in the future. The lack of a serious mobile foothold by Microsoft is not looking good. Are you ready!? 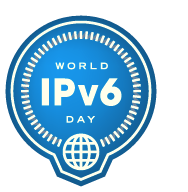 Today is the day to see how prepared you are for IPV6 world. 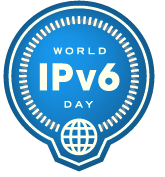 That would be Internet Protocol Version 6. See, nobody expected the internet to require addresses for billions of connected devices. Never underestimate the geometric expansion of technology, eh? So now we are about to run out of unique IPV4 (whatever happened to IPV5?) addresses and hence face, in addition to economic meltdown and ecological collapse, internet armaggedon. Well, I suppose if we get the first two the last won’t matter. Anyways, it’s fun! I just upgraded my router so I’m ready to fly into the future of gigafied internet. Can you join me? We are so used to seeing perfect, flawless tech gadgets in slick advertising shots. Apple especially has raised the experience of the fetishized object to an art. A new in-the-box Apple object is perfectly cradled, pristine, hermetically sealed in various layers of glossy transparent plastic. The first scratch is the most painful. 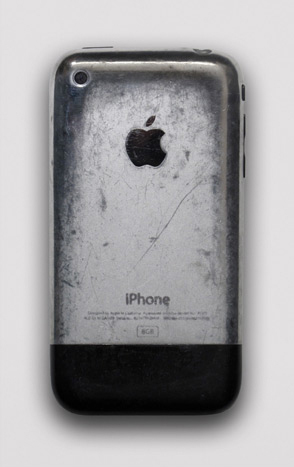 In an attempt to stave off the natural aging process and maintain the object in its pristine, newly minted condition, many cover up the fetish icon with various cases and screen protectors—despite the fact that the often ugly objects people use to maintain flawless perfection defeat the purpose of having such a beautiful object in the first place. Like couched wrapped in plastic. How refreshing then this blog post from frog designer Remy Labesque. Sharing his beautiful, heavily used original iPhone. Putting it on a pedestal to be admired before it is retired. Labesque presents it in the context of the Japanese concept of “Wabi-sabi.” A Zen appreciation of patina and wear that is a natural consequence of aging and use. Thanks Remy! What a strange trip it’s been! Released on Saturday March 24, 2001, Mac OS X 10.0 Cheetah grew up to be Mac OS X 10.6 Snow Leopard. And Apple’s stock went from $11.50 per share on Friday March 23, 2001 to $343.98 as I write this, including splits. Before iPods, and iPhones and iPads and MacBooks and MacBook Airs and iTunes Music Store, and on & on. Happy 10th Birthday Kitty! You’re a star!